Through wire constuction available in 5 color combinations as shown below. 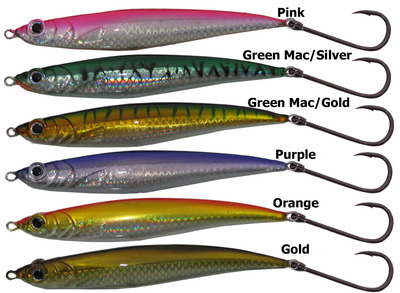 These metallic finish lures are great for striped bass and school tuna. Click the button below to add the Carlson Offshore Casting Jig for Striped Bass & Tuna to your wish list.